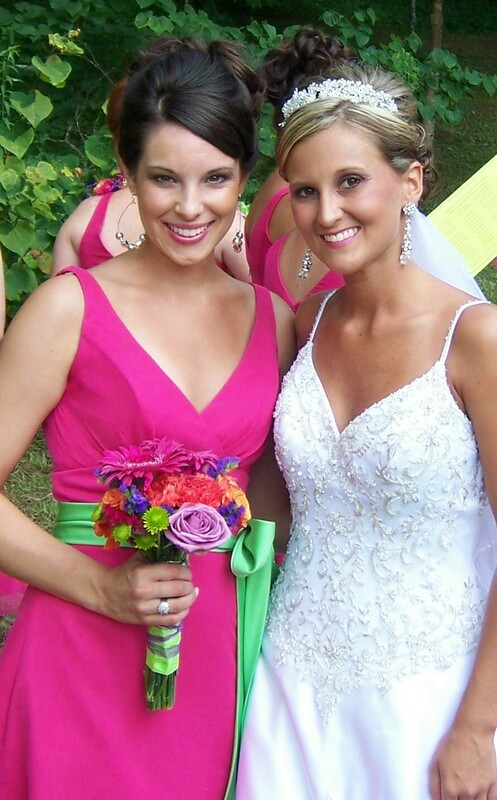 It is officially one week until my baby sister, Nikki, gets married! 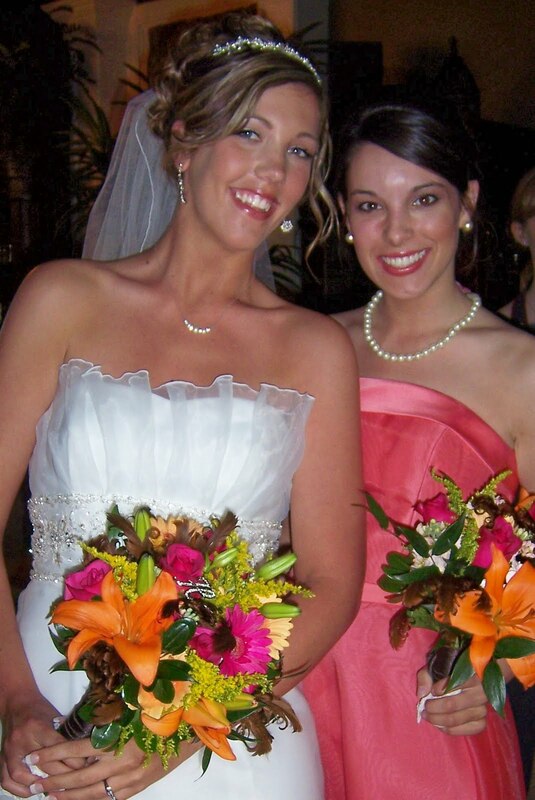 I am beyond excited for her and for the big celebration . 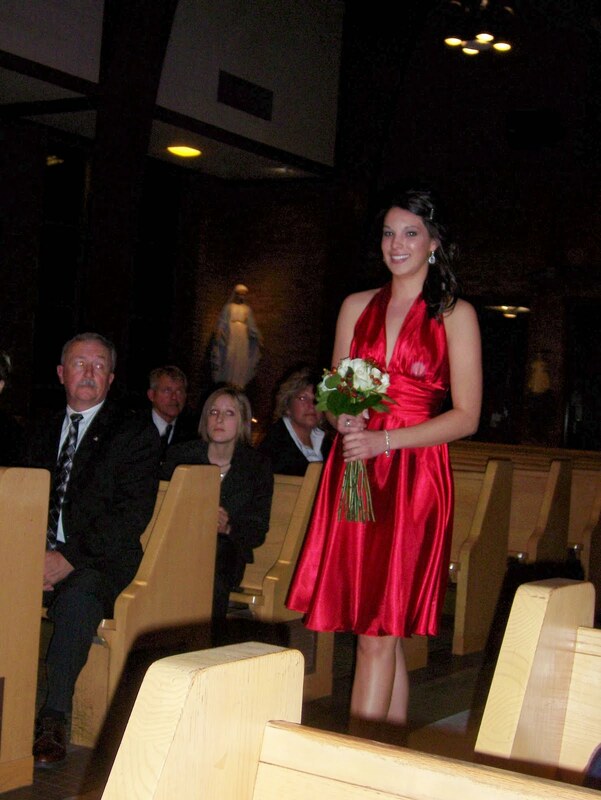 Weddings have always been one of my favorite events to plan and attend. In fact, I majored in PR because that was the outlet to take if one aspired to be a wedding planner. 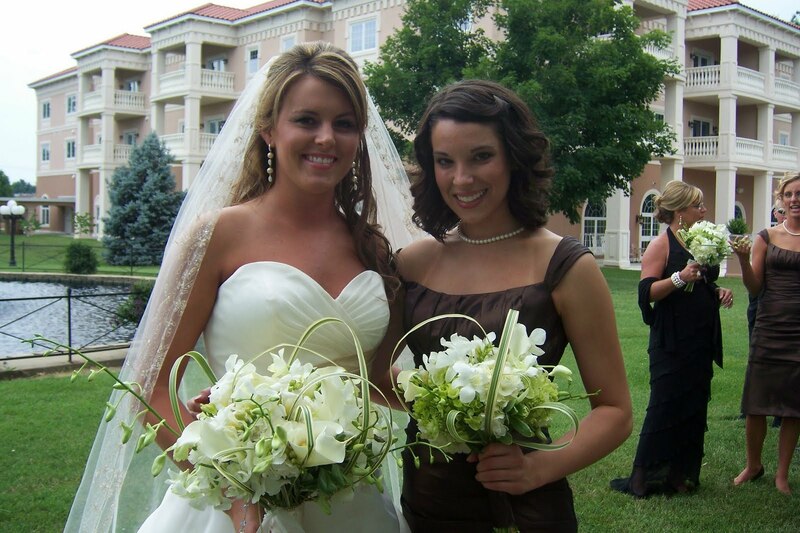 Once entering the PR classes, I realized every other girl there wanted to be a wedding planner as well. I quickly learned there is much more to PR than just planning events. Now I have a career in PR doing a variety of tasks, not just event planning. 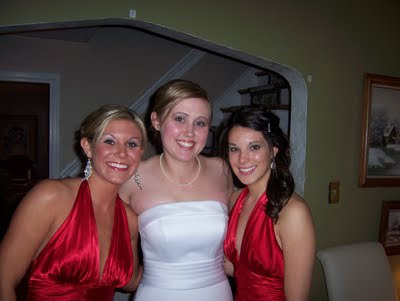 Now that my sister is getting married, the the girl who wanted nothing more than to plan weddings comes out again. My sister is getting married on a family farm next Sunday. This is the perfect setting for the bride and groom-to-be who met because of their love of horses. Both have careers in the equine industry so the farm was very fitting. 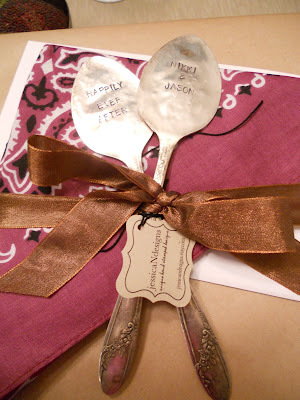 I just wrapped their wedding gift and am swooning over how the presentation turned out... very country chic! The top of the present features personalized spoons I ordered from Etsy. Writing this post made me think back to all the other weddings I have been in over the years. 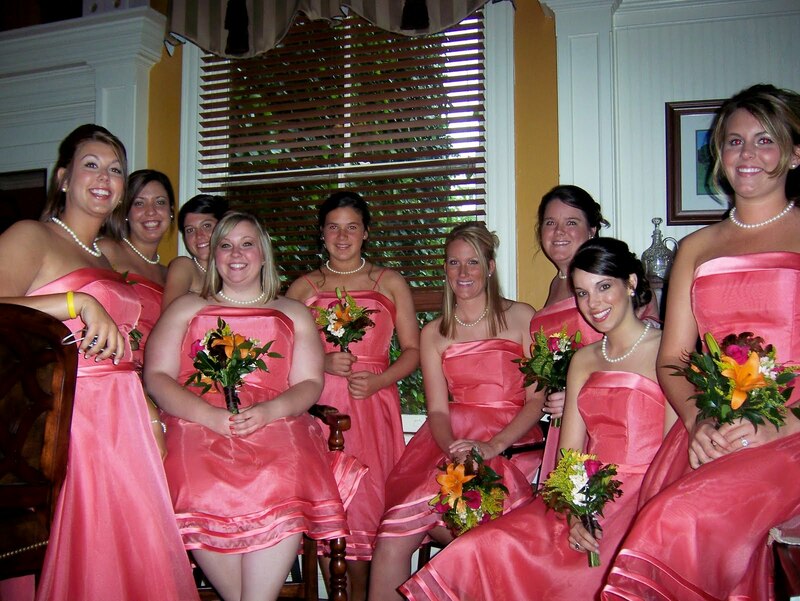 Thus far, I have been a junior bridesmaid once (no pictures handy) and a bridesmaid five times (Nikki's wedding makes it six). Here is a trip down memory lane. 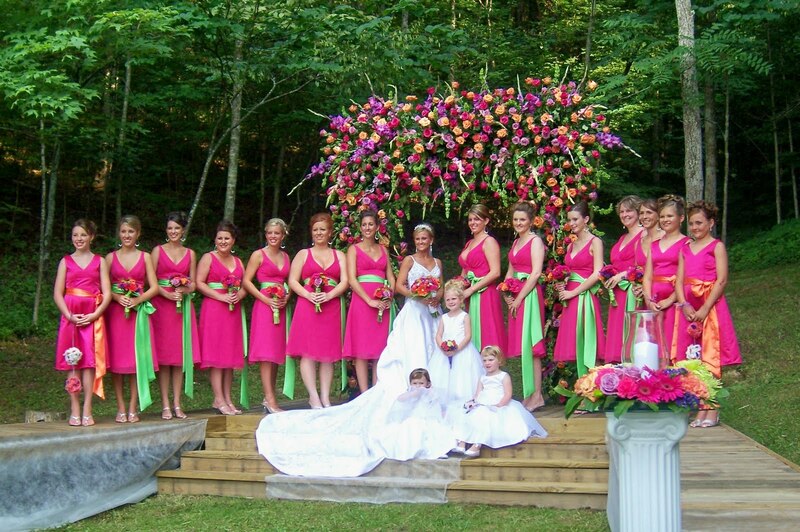 It's awesome to see what different brides create using various color schemes. Enjoy! 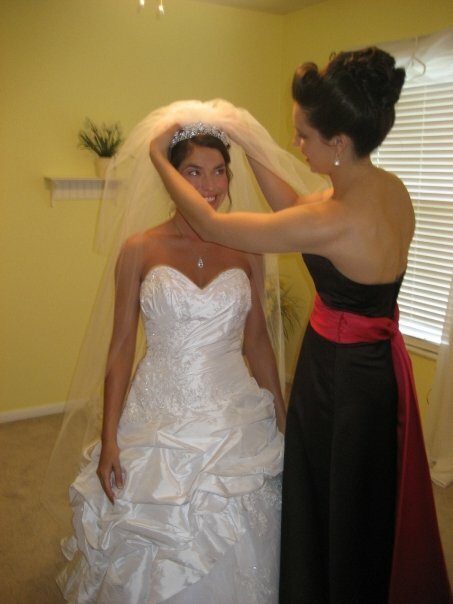 As May 14th, Nikki's big day approaches, I will count down some of my favorite weddings looks, decor, and cakes. Stay tuned for the wedding fabulousity to begin!